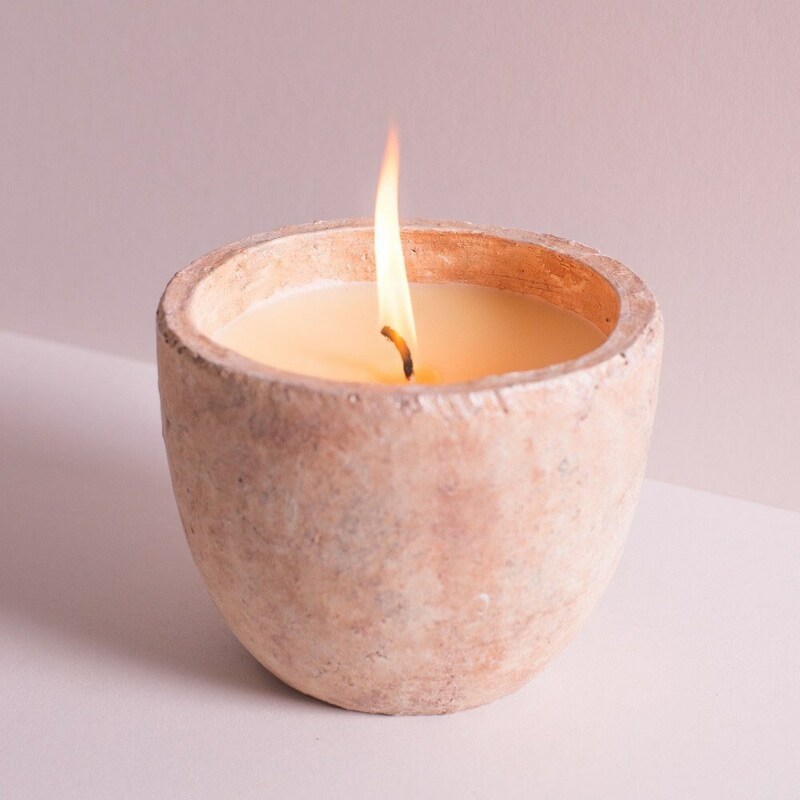 Close your eyes and drift away to the Tuscan coast with this rustic sea salt scented planter candle. Light the wick and let the unique blend of ozone and citrus scents transport you instantly beachside. Once the candle is finished, the terracotta pot can be used for planting herbs or flowers. Burns for up to 90 hours. Made from blended mineral wax and fragrance with a cotton wick. Please note: for outdoor use only.